My name is Bridget. I'm twelve years old and I love strawberry ice cream. If I went to Hogwarts School of Witchcraft and Wizardry, I'd be a Slytherin. 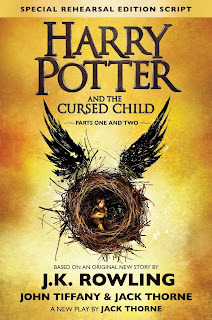 I read HARRY POTTER AND THE CURSED CHILD – PARTS ONE AND TWO by J.K. Rowling, John Tiffany, and Jack Thorne because the other Harry Potter books are my most favorite books ever and this book is a continuation of where they left off. It looked very good! What's a good word for action-packed and very fast paced? I'll say adventurous! Okay, I will try to say this with no spoilers (or as J.K. Rowling said, "Potter fans have always had each other's backs. Today I'm asking you to #KeepTheSecrets of #CursedChild). To avoid any information about the plot, please skip down to the next question. My favorite part would have to be either when Albus and Scorpius get a hold of the Time-Turner or when they jump off the train and the trolley lady grows destruction arms and tries to grab them. Albus thinks he's an outsider trying to live up to his dad – who saved the world. It's hard to imagine having the same problem, but if I did, I would probably try to make more friends. If Albus had more friends, he would have more back up to help him solve his problem and stay out of danger. If I were Albus, I would act similarly, but not as extravagantly. All of my friends are Harry Potter fans and this book is a must read for any Harry Potter fan! The plot is complicated and it has so many twists and turns. There is never a dull moment! I would have read the book in one night – if my parents hadn't made me go to sleep. I like the symbolism on the cover. It's Albus Potter in a nest with wings. He's alone and trying to break away from living up to his dad. I can't say what I think the wings mean without spoiling the book. I would absolutely love to read more! It's another generation of Harry, Hermione, and Ron. Albus Potter is kind of like Harry and Scorpius Malfoy is kind of like Ron. They have a similar friendship and I want to know where they will go on their adventures together. I would love to see what happens to these two friends at Hogwarts. All seven of the other Harry Potter books because this book is a continuation of the characters and the original story. Also, MAGYK by Angie Sage. Both stories have wizards and witches running from an evil group. They both have thrilling plots. 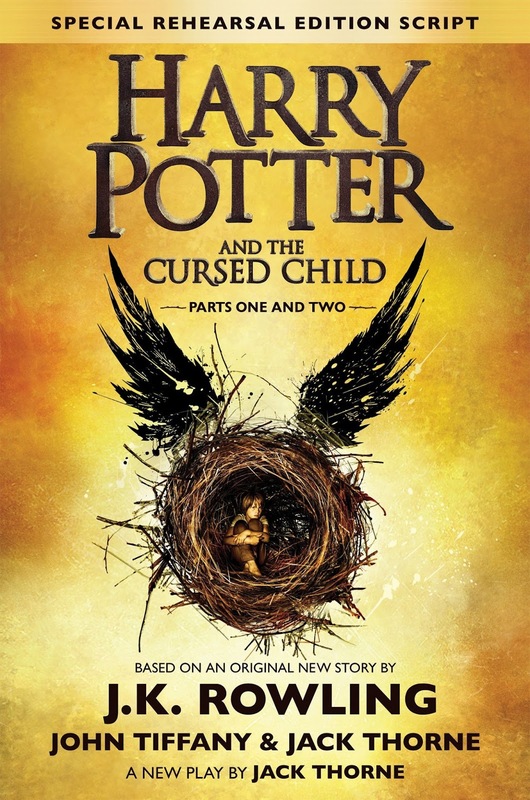 I would like to ask J.K. Rowling how she decided on the plot and why she wrote the book as a play and not as a novel? J.K. Rowling hasn't answered these questions in interviews, but we hope she will in the future. Of course, I would recommend any story related to Harry Potter! I also enjoy THE LAND OF STORIES series, HALF UPON A TIME, and THE CHRONICLES OF NARNIA. What a great interview! I'll have to go read the book now. I loved Harry Potter, but had heard negative reviews about this continuing story. I do love a good play, though, so HARRY POTTER AND THE CURSED CHILD here I come! Great questions! I was also on the fence as to whether to give the new book a go. It's good to know that the adventure and pace that hooked me with the Harry Potter series is still there. I'll be reading it for sure.